The Chinese New Year is just around the corner. This sets the stage for new beginnings, good luck and prosperity in the coming year. Traditionally, the house is supposed to be thoroughly cleaned before ushering in the New Year to get rid of bad luck, past calamities and make room for good things that are expected. In addition to this, one is expected to paint the house. This is a way of ensuring the house is clean, even the walls, but most importantly it is in tune with the Chinese tradition of painting the house most preferably red before starting off the new year’s celebrations. Firstly, this is in line with the Chinese traditions. Most traditional Chinese homes are painted red when ushering in the New Year. If you do not want to paint your house red, you can still paint it in any other color you want, to give it a new look and make way for a better year. You can choose to paint it yourself but letting a professional handle the job is much better. You will not only be readying the house for the celebrations but you are assured that it will look as good as new for the rest of the year. Here are some things that will make you choose a professional instead. 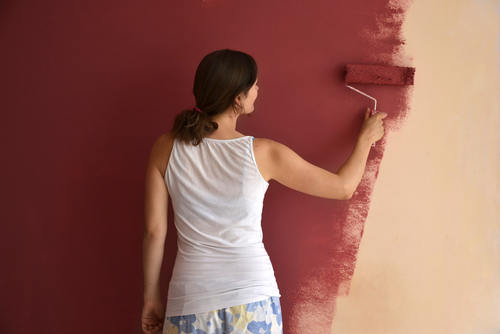 Whether you want to paint the whole house red or part of it, you still require to choose original quality paints. This still applies when going for other colors. Not having the required knowledge means that some vendors may take advantage of your inexperience. They might offer low quality paints that leave your house unattractive and messy. Anyone will tell you that high quality paints leave an impression many months after the job has been done. In addition, it will dry faster, not require a lot of work when applying and is eco friendly. This means that it emits few to no toxins. You can actually have the painting done when you and the entire household is still around. No need to worry about being affected by the fumes emitted by the paints. Painting requires experience. It may seem like an easy job but wait until you start it. You may end up messing the whole house and ruining furniture with smudges of paint. An experienced painter will do a clean, neat and attractive job that will leave you satisfied with the results. He will ensure that everything is out of the way if need be or take extra care when painting. You will not find smudges on your carpet, furniture and other house items. In addition, the finished work will be professional and immaculate. He knows how many layers of paint to apply, the types and colors to use. As much as you may want to do the job yourself, even when you are experienced, time might be a big constraint. New Year preparations may leave you with little or no time to handle the task. There is a lot to do which includes preparing the house, buying items for the celebration and ensuring that everyone is ready for the festival. If you have to go to work before the festival begins, this takes most of your time. Instead of painting the house hurriedly, just leave it to an expert to do a professional and pleasing job. You shouldn’t think of the painting work as an added expense with all you have to spend your money on with the festivities. Painting the house yourself may end up costing you more than it would if you left the work to a professional. You might end up ruining your walls, furniture and floors, which will cost more to fix. In addition, it might be cumbersome and tiring having to move things around in order to paint different walls of the house. You don’t want to hire someone who has never painted a house before. 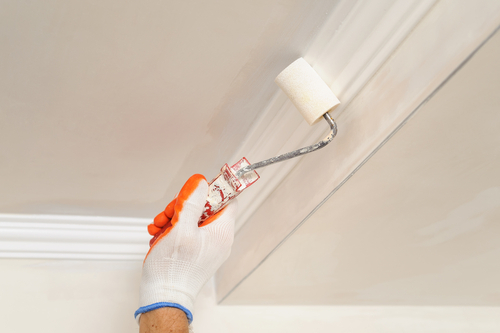 An experienced painter will understand your needs ensuring that the finished work is just the way you wanted. He will also know the products to use, have the required equipment and make sure he does the job on time. Their will be no need for repeat jobs. Experience also teaches a painter the colors to use in different scenarios. A painter who has been around for long already has a reputation. You can ask the people he has worked for in the past how they rate his services and level of experience. A painter who is serious about his work ensures that all his dealings are professional, reliable and honest. He will keep time, work within the stipulated budget, use genuine products and ensure satisfactory results. He will go out of his way to ensure that his clients are satisfied with the work he does. He will also have up to date licenses allowing him to operate in Singapore and ensures all his workers, if any, are experienced and insured. You will not have to be liable to accidents that take place in your resident when the work is in progress. Excellent and quality services will always cost more. This though does not mean that you cannot find a reputable service provider at an affordable rate. If you take your time, you can find someone to work with, within your budget and not compromise on the quality of services offered. Get to know in advance how much you will need to spend on the project. During the Chinese New Year, different people celebrate it in specific ways. You might not have the chance to travel to China and experience the real festival. Nonetheless, you can experience and celebrate it in a unique and more personal way. You can transform the festival into a house painting experience. When you are choosing colors for painting your home during the Chinese New Year, you will first off need to learn the meaning of each color. You might also want to consider the preference and what exactly suits your likes. When choosing the color, you will also want to mind about where you are applying it. There are some areas sections in the house that will go well with a dark color. On the other hand, some sections of the room will need a brighter color that will lighten it. If you the room is used more frequently, like the living room or the dining room, you will want to choose a brighter color. For the rooms that are not used frequently enough, you can use a brighter color. For instance, the kitchen can have a brighter color, or you can blend a dark and a bright color to level it. You can then choose a darker color for the bedroom. All in all, it is all about choosing a color that is suitable and one that will satisfy your preference and the theme of the Chinese New Year. When you have the perfect color selection, you will be sure of making your home look elegant as you celebrate the festival. So what are the top eight colors that you would paint your house during the Chinese New Year Festival? This is one of the most dominant colors in the Chinese Tradition. It is also a color that highly dominates the Chinese New Year. In the Chinese restaurants, red is included as a wall painting, and also with the lanterns. According to the Chinese Tradition, Red is a color that symbolizes good luck. It is also a common color of decoration during the New Year. Red will correspond with fire, mostly linked with the dragons in the Chinese culture. Other than the good luck, red is also associated with joy. Naturally, the color red will make the house look lively and more charming. So if you want to get to the groove and enjoy the color along with others during the Chinese New Year, the best thing to do is to color your house red. You can paint the living room ior the dining room to add more joy intro the room. Another common color in the Chinese New Year. Yellow is a color that is known to brighten the room and add more elegance to it. In the Chinese Culture, yellow is considered to correspond with Earth. The color is also determined the most prestigious and beautiful color by the Chinese. They consider yellow to be the center of everything. To some level, yellow is associated with brown, but it is ranked above it. It is also used to signify good luck and neutrality. You can paint different walls in the same room with yellow and red. Yellow is also signifies freedom, and it can be used to make the room look more spacious. This color is closely associated with yellow, and it is a choice that you can consider during the Chinese New Year. This color can be accompanied with yellow in the same room, or it can be used individually, like in the bedroom. When you paint the walls in a room, with yellow and brown. For instance, you can split the lower section to have yellow and the upper section to have brown. Brown is associated with earth in the Chinese Culture. White is generally known to symbolize purity and peace. In the Chinese New Year, white can be used to correspond metal. It represents gold, and it symbolizes fulfillment, purity, and brightness. Nonetheless, you should keep in mind that this is a color used to mourn. Green is a common color in many Singaporean homes. You might have your own preference for this color, but to the Chinese Culture, it symbolizes harmony, prosperity and health. 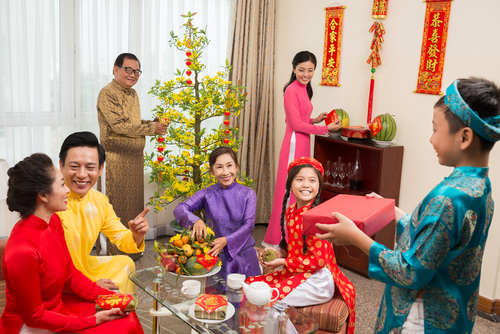 So if you are celebrating some financial success during the Chinese New Year, the best color to choose is green. Even in China, most of the buildings are painted in red and green. So you can blend the two in the same room. This might seem like a weird and uncommon color to you, but it is basically blue that has some green in it. It is developed from the notion of a plant as it is sprouting. 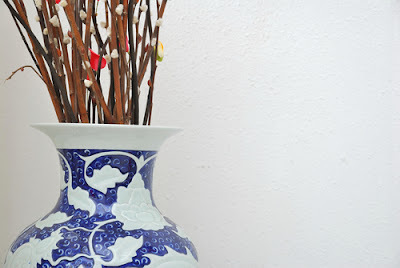 This color is also linked to the wood element in the Chinese culture. So when you are choosing it, ensure that you apply it where you need to have a darker environment, like in a bedroom. Several homes in Singapore are applying their kitchens black. This is a color that can look perfect enough if you choose the right black paint. It corresponds water in the Chinese Culture and is considered a neutral color. The Chinese believe that Black is a Heavenly color. Black is a color that will make a room look smaller, so you should choose where to apply it wisely. The earth tone is a color that can include warm grays, clay, beige, or sandy. These are colors that can also look good in the house, and they are neutral colors as well. The color can go well with most of the other colors in the list. They can be used to make the room look elegant, and they can be used in any room as well. When you want to choose a color to match the Chinese New Year and your preference, you can consider consulting a professional in the house painting. The company should also give you suggestions of the best colors to use during the Chinese New Year so that you cna achieve the perfect results. The right paint job is one of the most affordable and easiest ways of transforming the feel and look of your property. There are numerous benefits associated with painting, including the fact that it adds value to investment, enhances curb appeal, decreases the risk of weather- related damages, promotes indoor air quality, keeps dust & dirt to a minimum and hides permanent stains and marks among many others. 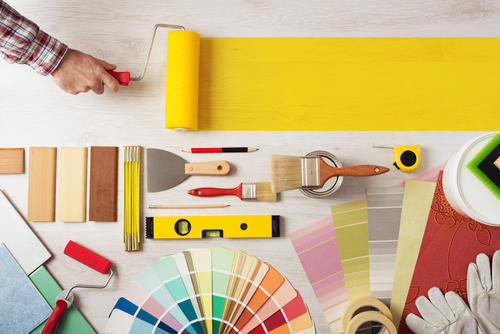 If you would like to paint your home or office, you may be tempted to engage in a DIY project. It is not advisable as you are better off with a professional if you want to enjoy the desired results. 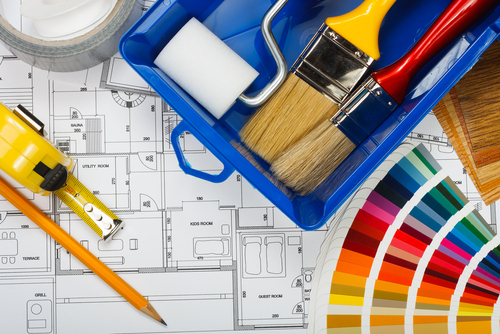 Here are seven reasons why you should use a commercial painter. Hiring an expert painter means that you will not have to wait a million years before you can see incredible results. This is because they are focused on the job and are committed to making sure that they deliver results the very first time. In most cases, it will only take a day or two to get a professional and complete finish. Working with an expert also implies that you will gain access to their immense wealth of knowledge that they have gathered from years of experience. These are people who know the type of paint to use for each room or situation, the paint that has led or other toxins, and the kind of wood that requires premier, etc. They are also well-versed with the latest painting trends as well as the most effective techniques that ensure the job is done in the shortest time possible without compromise on quality. A dependable commercial painter will offer some guarantee on the work they do which is normally twelve months or more. This type of security assures you that a great job will be done, and there is nothing to worry about. Additionally, the painter will be well-covered by insurance another huge perk because the insurance provider will pay for any damages that happen when the painter is working on your property saving you from a lot of headaches. A top notch painter will also be licensed to offer the services; thus you can be certain that you are in the capable hands. Despite the fact that painting may seem like a very easy task, the reality is a different story. It requires the proper paint, tools and skill to achieve a professional job. An expert will come with all the tools that are needed for the task at hand. They have the expertise needed to handle the equipment in the right way. These include things such as extension ladders, the right brushes, rollers, scaffolds, and any other piece of equipment that will help them achieve an attractive and smooth surface. 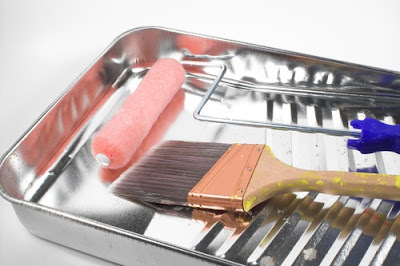 It is vital to note that regardless of the sophisticated techniques that are used to paint a surface if the prep-work has not been done properly then the results will not look good at all. A good commercial painter knows how to take care of stains and spots, scrape the walls, and smooth out a surface before the painting is done. This way, the results will look perfect without any lumps, and they will also last longer which means that you will not have to keep re-painting all the time. He/she will also make sure that your floors and furniture are protected while the painting job is in progress. The professional will also be responsible for cleaning up when the job is done. Painting is considered quite monotonous and dangerous at the same time. This is especially true for a person who is trying to cover places that are hard to reach. It can be very easy for a person working on a scaffold to lose balance and fall off, something that can lead to an injured spine, broken bones, or other injuries. A professional, however, is expected to have the skill and experience balancing and working on such equipment to get the job done without too many complications. The expert will also put in place the necessary safety measures to protect themselves when doing the job so that fumes and other toxins do not affect them or your family. This is crucial when it comes to protecting the health of your family. 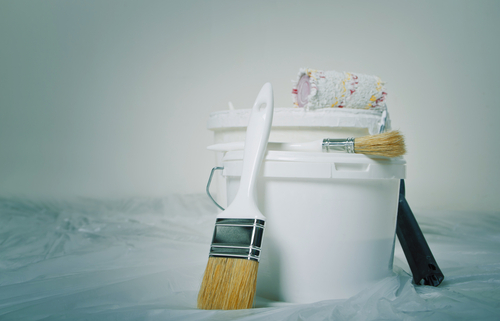 You may think that you could end up saving loads of money by taking up the painting project, but in the long-run, you could end up spending a lot more. For instance, if you make any mistakes, you could be forced to hire the professional to come and make them right. The expert knows the quantities and types of paints to work with for different scenarios, thus end up doing a better job with longer-lasting results. 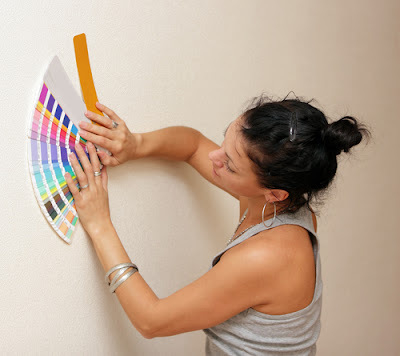 Remember that the market is filled with numerous paint options and it may be quite confusing for a person to pick the ideal paint for their property. This is not an issue for the expert because they can identify the best paint without any problem. The professional can also offer expert advice on the right shades to use if you are not too sure about the colors to paint. As mentioned earlier, they also come with their tools which mean that you will not have to spend money to purchase or rent the tools needed. When you have left the painting job to a commercial painter, you get to enjoy more free time that can be used to handle other important activities in your life. This could be anything from spending more time with family and friends, getting more work done, or just sitting back and relaxing as you wait for the professional to be done. You will also not have to spend time and resources trying to learn how to get the painting job right, which can be draining, especially if you will only be doing it once and do not want to take it up as a career. HDB flats are becoming more popular among the people living in Singapore as they provide various benefits to their residents including elegant and stylish living. But the beauty and elegance of these flats depends on how their residents maintain their looks and how they decorate these flats by using various accessories and painting them frequently. In this way painting can be one of the methods which can be used to improve to looks of these flats so that they can attract everyone including you. Some easy steps to paint your HDB flat are provided in this write-up so that you can accomplish the task easily and effectively for improving its appearance and value. Hire a professional painter: Though you can paint your HDB flat yourself, if you know how to do it, but if you are ignorant about the tools and skills required for this purpose then it is better to hire professional painters for this purpose. They can paint your flat beautifully on the basis of their experience and professional knowledge. You can find a number of professional painters in Singapore from which you can choose the best one after comparing their prices and quality of services offered. You can also find them online as most of the reputed service providers have given their complete information on their websites. Set a budget for painting your flat: The cost of painting your HDB flat depends on various factors including the quality of paint used, standard of the painting service provider, size of the flat and types of services offered. So to keep this cost under your control you set a budget for this purpose so that you can arrange th things accordingly. You can consult with the painter you have hired to know about the expected cost of painting your flat with various types of paints. This will help you in making better decisions in this regard so that you can arrange the finances accordingly. Create a time schedule: You are going to paint your HDB flat to improve its looks. The painting of flat can be a time taking task as you will have to face several hazardous situations during this process. Most of the paints used for this purpose include various chemicals which may be dangerous for your respiratory system due to their unsuitability to you. So you may have to leave the place and shift to any other place until the project is completed. So you should create a time schedule with your painter so that the process can be completed in time for the convenience of both, your painter and you. Consider the safety of your family: The quality of paints used for painting your HDB flat depends on its brand. Different brands produce paints of different qualities and most of them produce inferior quality paints to increase their profits. But these paints are usually harmful to the people living the house where they are used. In fact they use toxic chemicals in their paints. So while selecting paint for your flat you should ensure the safety of your family by purchasing paints that do not include elements that produce harmful gases. The paints you buy for this purpose should allow you to breathe-in safely after they are fully dried. Moreover you should move-in your flat only after giving enough time to the paint to dry up completely for the safety of your family members. Painting should reflect your personality: While painting your HDB flat you should ensure that its looks should reflect your taste and personality so that you and your family feel comfortable and safe in it. You should ensure that you have arranged enough paint of your choice to complete the job as per your preferences. You should also ensure that the shade of the paint matches to your liking as you have to live in this flat. It will not be comfortable for you live in this flat if the shade of the colour used in painting is not your favourite one. The colour of your paint should also match with colours of other decorations, furniture and assets used in the flat. All these things will also help in boosting the decor of your entire flat. Use good quality paint: The quality of paint used to paint your HDB flat can help the hired painters in completing the job for long time. If you have used inferior quality paint then even the best painter cannot ensure to provide good and long lasting results. Good quality paints last much longer than low quality paints. Though you have to pay a bit higher for good quality paints but their long life compensates their higher price as compared to cheap quality paints. Low quality paints can damage the looks of your flat even after a few days as they cannot withstand with changing weather conditions including heat and cold. They lose their shine, fade away and even peel off with the change in natural temperature. So to ensure the long lasting beauty of your flat you must invest, not spend, on good quality paints while painting it as they will return their value with time. Regular care of the painting: Though your HDB flat looks great after painting it but its beauty can be enjoyed for long time if you take its care every now-and-then to refresh its looks. Your flat will not lose its shine if you hire a painter at least once in a year to recoat its paint. In this way your paint will serve you for long time as frequent care can also ensure the durability and strength of your flat as it can also help in strengthening its construction. Thus you can easily paint your HDB flat by following the steps provided in this write-up. In order to retain the beauty of your flat for long time, along with hiring an experienced and professional painter, you should use good quality paint as even a good painter cannot create long lasting wonders with cheap quality paint. How Often Do We Need To Paint A Commercial Building? If you want to improve the look of your commercial building, such as restaurants, cafes, shops, and many other buildings, you need to take care of your building properly. 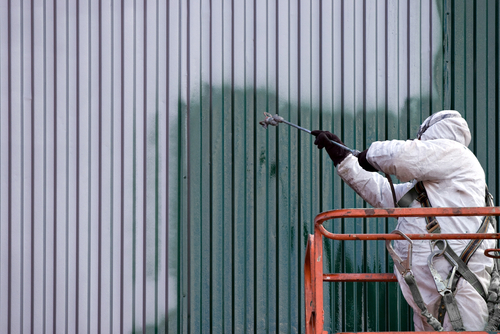 When it is necessary, you need to paint your commercial building regularly. it is recommended for you to paint his building at least once in every 4 - 6 months. You can hire the best painter who is available in Singapore these days. Hiring this service can help you paint your building quickly and easily. Here are some useful advantages that you should be able to get, especially when you paint your building regularly. This is the main benefit from painting your own office. When you do regular painting, you should be able to improve your office look effectively. If you want to have good looking office building, you need to select the best painting colour for yourself. There are some recommended colours that you can use for your building, for example light brown, yellow, green, calm blue, and many other calm colours. These colours are very useful to make your office look beautiful and great. Painting your building regularly can be an affordable way to create good looking office in Singapore today. You should understand that direct sunlight can reduce the overall appearance of your building. Extreme sunlight can reduce the visible paint on your building. It is very important for you to select the best painting service that can provide good protection for your property. There are some weather-proof painting products that are available today. Finding the right paint is very important to help you protect your property from any negative impacts from the environment. You need to buy the best paint that is very durable for protecting your own building from unwanted issues. This is another reason why you need to paint your office building regularly. If you want to be a successful business owner, you need to learn about how you can provide the best service for your own customers. When you paint your building regularly, you should be able to impress all of your guests. They will be very happy to attend to your commercial building regularly, in order to purchase any products or services from your company. Regular commercial building painting procedure can help you make all customers feel comfortable with your own office look and appearance. When you want to feel comfortable in your office, you should think about how you can improve the appearance of your office. It is very important for you to paint your building regularly, in order to create new look on your office space frequently. You can select the best color option that is suitable for your preferences and needs. Because of this reason, you need to replace the overall painting color of your commercial building at least once in every 6 months. You don't need to spend a lot of money for creating new look on your own property. This tip is very useful for all business owners who want to grow their own businesses quickly. You should be able to improve the overall value of your company by repainting your company regularly. Repainting project can make your building look fresh and new regularly. Because of this reason, this procedure becomes very important for you who owns your company in Singapore these days. It can also increase the overall appearance of your company, in order to attract many investors from Singapore and many other countries from the world. When you want to grow your own business quickly, you have to learn about how you can motivate all employees and workers in your company. You can improve their work's productivity by painting your property regularly. You can make them feel comfortable in your office space. Many experts agree that the repainting project is very useful to trigger the motivation from all employees in your own company. When they are motivated to work well in their daily life, they should be able to support your own business performance significantly. 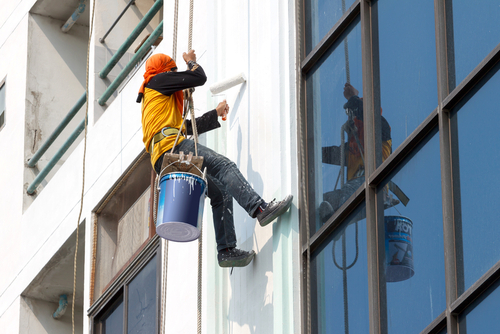 Painting your commercial building can help you create good spirit for all workers. This is another useful benefit that you should get, especially when you paint your commercial building regularly. When you are able to select the best painting colour for your company, you should be able to create convenient and comfortable environment for your workers and yourself. Convenient working environment can help you improve the overall performance of all workers. They will be very happy to complete any of your projects quickly. As the result, your business should be able to improve the overall performance, profit, and also value significantly. Good performance can help you grow your own business immediately. If you want to have good brand awareness among many customers and other potential employees in Singapore, you should create something different for your company. You can create unique value of your company by repainting your commercial building regularly. If you want to get this benefit, you need to learn about how you can paint your building with your unique colour. Make sure that you include your business identification from your own company, in order to increase the overall brand awareness of your business easily. Proper brand awareness can help you attract many other customers easily and quickly.